Speaker John Boehner (R-OH) boasted that he had won 98 percent of what he sought in the new debt-ceiling deal. Congressman Emanuel Cleaver (D-MO) memorably called the deal a “Satan sandwich.” Half of House Democrats voted against the bill which will dry up funding for any new economic stimulus at a point when the already-feeble recovery is stalling out, and also endangers social programs badly needed by the unemployed and the low-paid. With this less-than-sterling outcome on deficits, President Obama is now “making the pivot” toward jobs. But this shift in the president’s focus is not entirely good news for those of us who have craved more attention to the jobs crisis. And judging from Aug. 3 statements by House Minority Leader Nancy Pelosi, relatively few Democrats may be eager to sign on. At this moment, it appears that one of the key elements of the Obama jobs program figures to be “free trade agreements” based on the NAFTA model with South Korea, Colombia and Panama. None of these are appealing: The Machinists worry the Korean deal, along with troubling elements on labor rights in South Korea, will act as a "funnel" for products made in China and North Korea. Colombia has consistently been the world’s leader in the assassination of union leaders. Panama “specializes in offshore tax evasion," as MSNBC’s Dylan Ratigan recently noted. However, with Obama having bargained away funding desperately needed for new government stimulus and job-creation programs, the three trade deals may be assuming more importance to the Obama team as they desperately seek some economic measure to produce signs of progress heading into the 2012 reelection campaign. The New York Times reported on June 26, 2010, that the Obama administration will be seeking the passage of a new "free trade" agreement with South Korea, originally shooting for the post-November lame-duck session. The White House had been planning this move despite knowing "it will risk angering labor unions" right after the crucial mid-term elections. The White House advisors quoted by the Times had been particularly high on the NAFTA-style deal with South Korea because it would not require a budgetary outlay. Contrary to what the White House’s corps of corporate-friendly economic advisors believe with unquestioning religious zealotry, “free trade” agreements do not automatically provide more jobs in America. Global Trade Watch, a labor-supported advocacy group, estimates that 4.9 million jobs have been lost due to deals like NAFTA and China’s entry into the World Trade Organization. The Economic Policy Institute’s Robert Scott estimates that an additional loss of about 170,000 U.S. jobs would occur due to the South Korea trade deal. 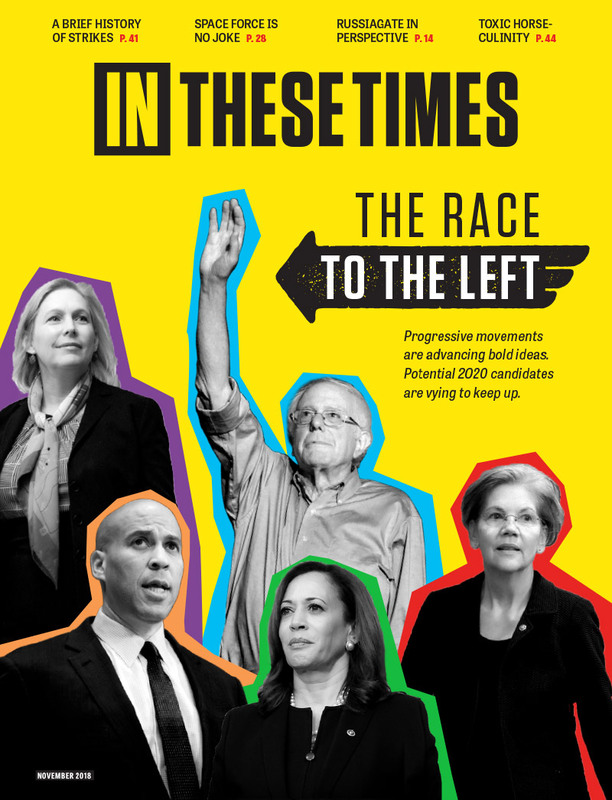 As I argue in the latest Z magazine, a substantial part of the Democrats’ massive losses can be attributed to the failure of Obama and other leading Democrats to take a clear-cut stand against the off-shoring of U.S. jobs. In the summer of 2010, a Mark Mellman/Alliance for American Manufacturing poll, as my Working In These Times colleague Mike Elk summarized it, warned that “those most affected by the Democrats' failure to deliver on their promises of trade reform are turning against the Democratic Party." A September 2010 NBC News and Wall Street Journal poll stressed that the offshoring of jobs it is one of the few issues which unites Americans across educational, class and political party lines. Fully 86 percent named offshoring jobs by U.S. corporations to low-wage nations as a top cause of our economic misery. It was the leading concern, leaving far behind such issues as deficits and health care costs. This concern has been fed by revelations like major job exporter GE paying no taxes on $14.2 billion in profits—with its manipulation of international tax laws a crucial factor— and U.S. firms destroying 2.9 million jobs at home while creating 2.4 million abroad since 2000. • This year, for the first time in history, a majority of Americans believe that China—not the United States—is the world’s leading economic power, according to a February 2011 Gallup poll. • A whopping 80 percent of Americans believe the global economy has a great or a fair amount of influence on the way things are going in America, while 63 percent believe America’s ability to compete economically is less than good. • A Washington Post poll in January 2011 revealed most Americans said the trend to a global economy is a bad thing, compared with 60 percent who said it was good in 2001. • Nearly 60 percent of Republicans at all educational levels believe offshoring plays a “major role” in current unemployment, according to a May 2011 poll by the National Journal. If Obama presses ahead, he may discover that Democrats, infuriated with his entire handling of the debt ceiling issue, are absolutely livid about the prospect of three NAFTA-modeled job-offshoring deals. “The White House may support it, but the Congress may have a different view,” Pelosi warned on MSNBC. Pelosi is right on the facts, and right on the political currents shifting against corporate offshoring of jobs. Given the current direction of the Obama administration, Congresional Dems seem increasingly unhappy about walking the plank for Obama as he loses the trust of poor and working people on jobs and the economy. Do Democrats have 51 votes in the Senate to block this?